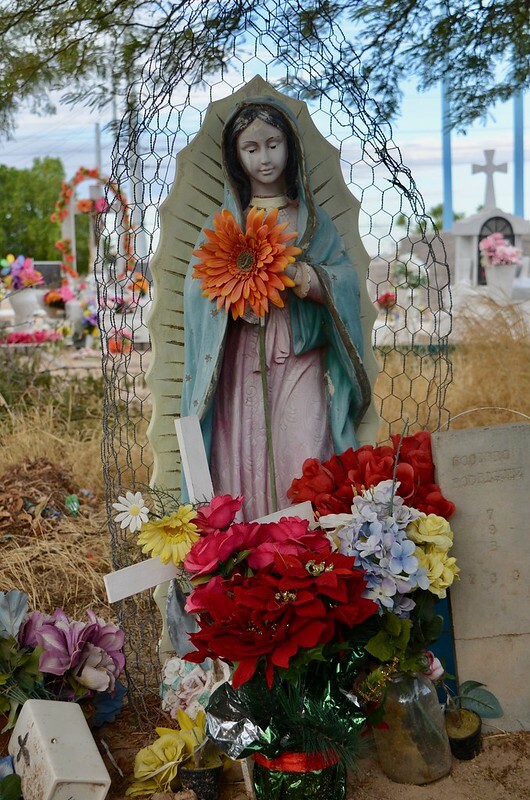 La Virgen de Guadalupe protects a grave, Yuma Pioneer Cemetery, Yuma, Arizona. 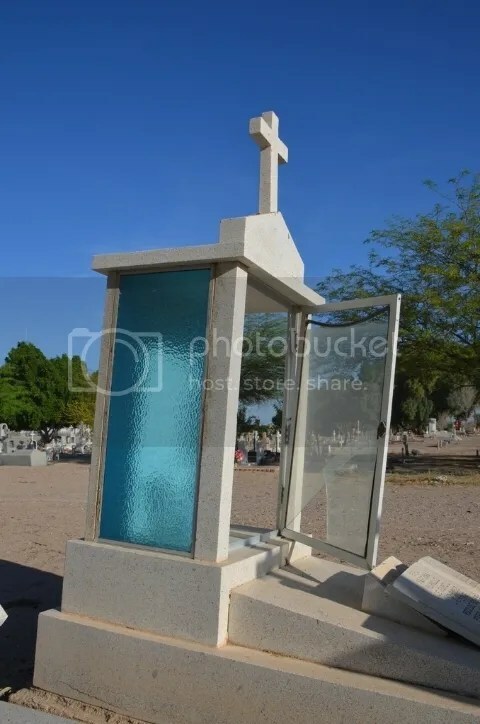 A gravesite memorial seems ready to fall at Yuma Pioneer Cemetery, Yuma, Arizona. 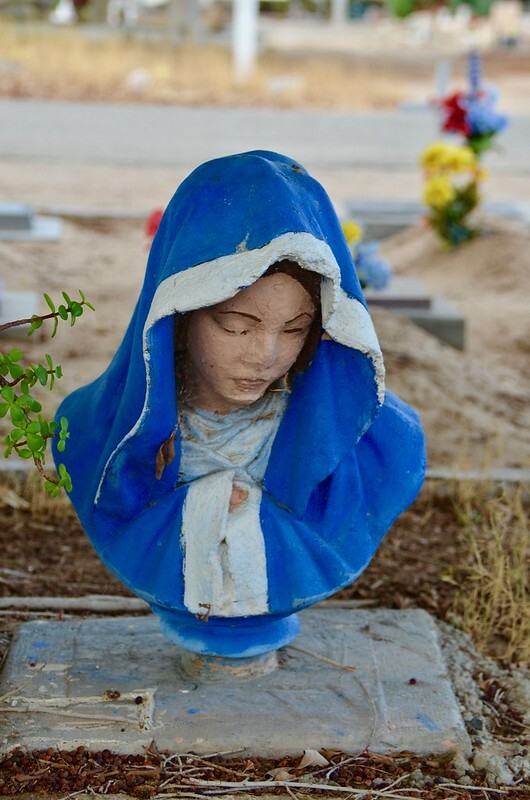 La Virgen de Guadalupe keeps watch over a grave at Yuma Pioneer Cemetery, Yuma, Arizona. In your keeping, we rejoice. 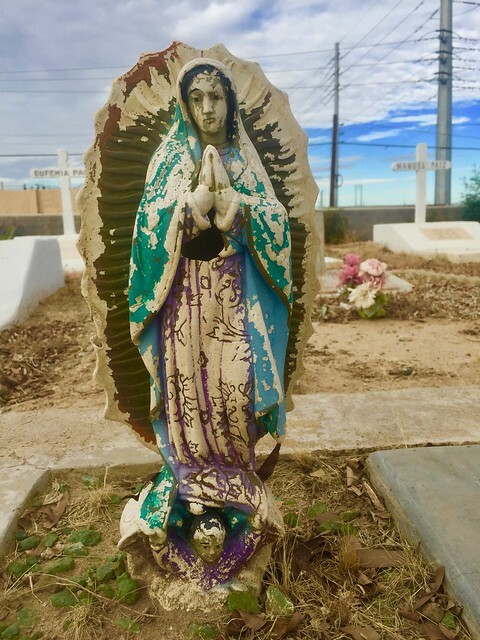 Stone of remembrance atop a headstone, Yuma Pioneer Cemetery, Yuma, Arizona. 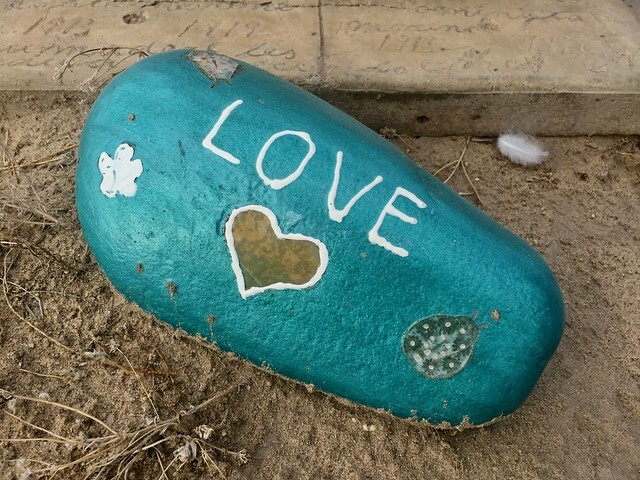 The name of that someone is, quite simply, Love. 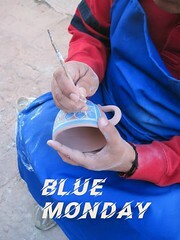 Even as you watch and wait. Of keeping watch by day and night? It seems that you see only light. Mary, and not at all like you. 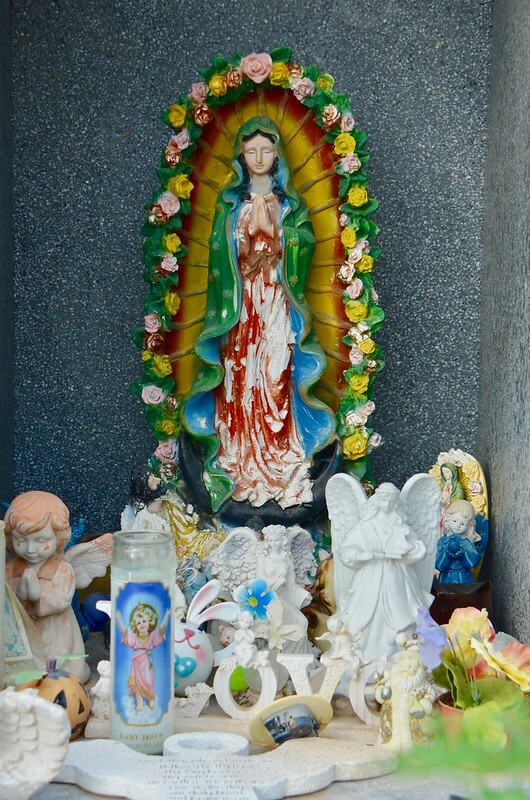 A tile depicting La Virgen de Guadalupe is affixed to a headstone. 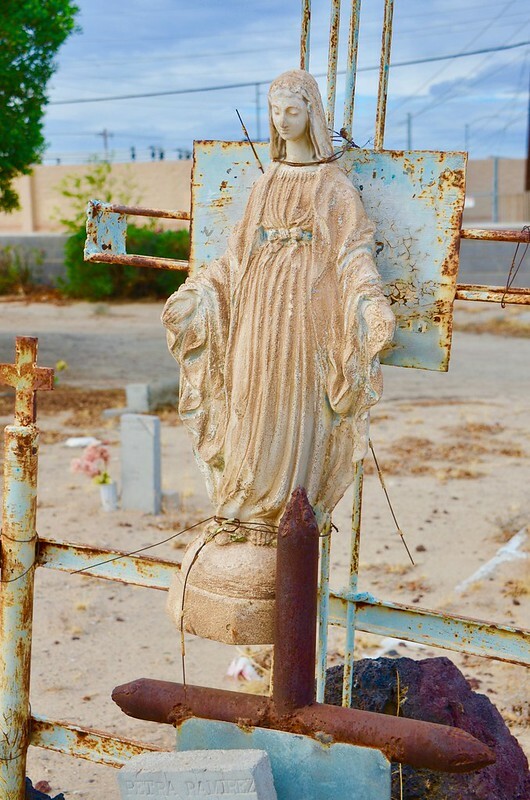 Yuma Pioneer Cemetery, Yuma, Arizona. 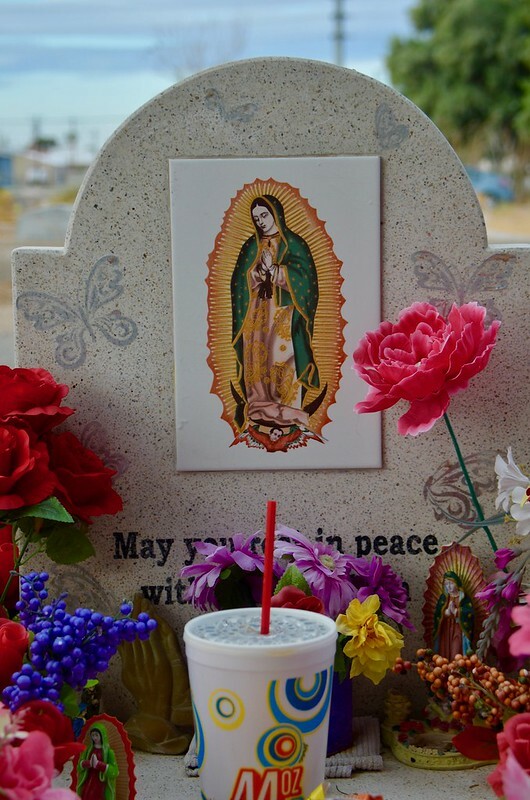 In a niche above a grave, La Virgen de Guadalupe watches and waits at Yuma Pioneer Cemetery, Yuma, Arizona.